Apple iPhone X, the biggest leap forward since the original iPhone. 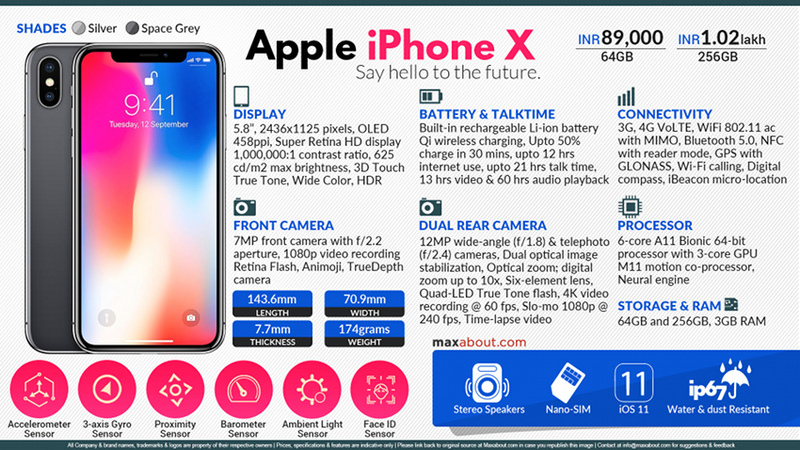 Apple iPhone X is priced at INR 89,000 for the variant with 64GB storage, and the 256GB model’s price is INR 1,02,000. This makes the higher-end iPhone X the most expensive mainstream smartphone in the country. 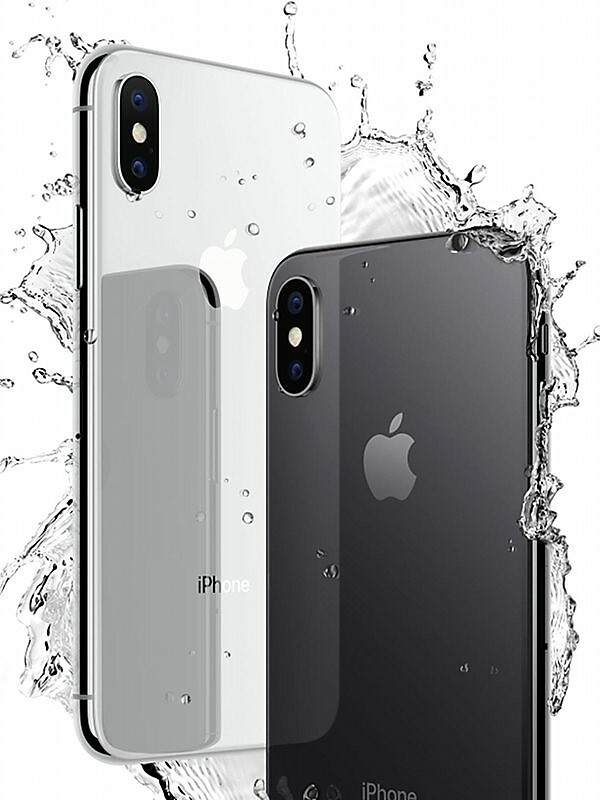 The Apple iPhone X comes in Silver and Space Gray colors. 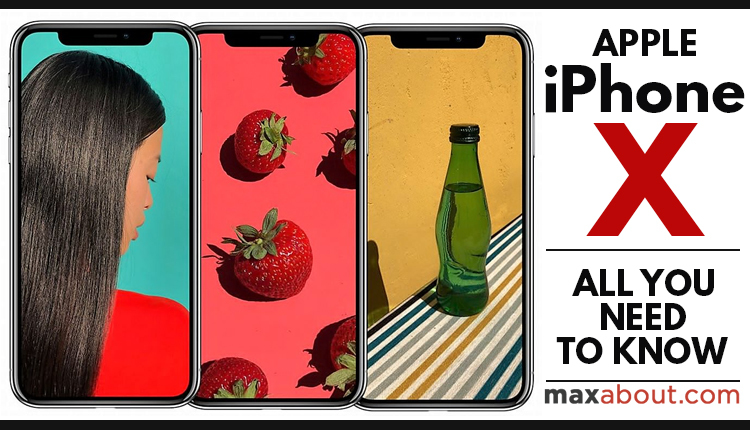 The prospective buyers in India will have to wait till November 3 for the iPhone X; pre-orders in the country will start on October 27. 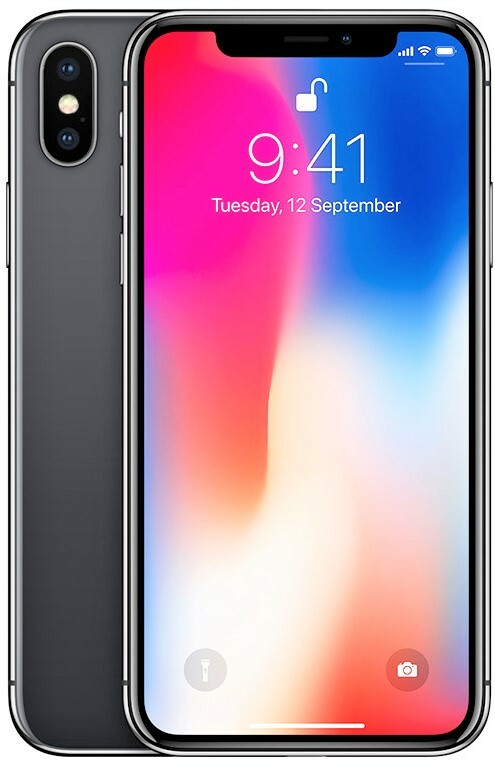 Apple iPhone X starts at INR 89,000 in India for the 64GB variant. 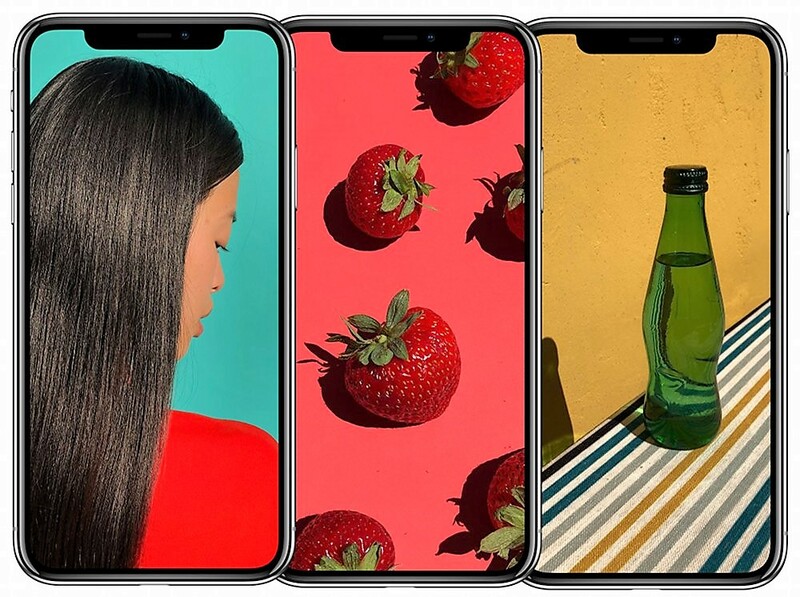 iPhone X has a 5.8-inch (2436 x 1125) OLED Super Retina edge-to-edge display with 458ppi, highest pixel density in an iPhone. The display supports HDR10 and Dolby Vision, Million-to-one contrast ratio and also has 3D touch. Apple is doing away with the Touch ID, the fingerprint scanner embedded with Home Button that it introduced with iPhone 5s model. 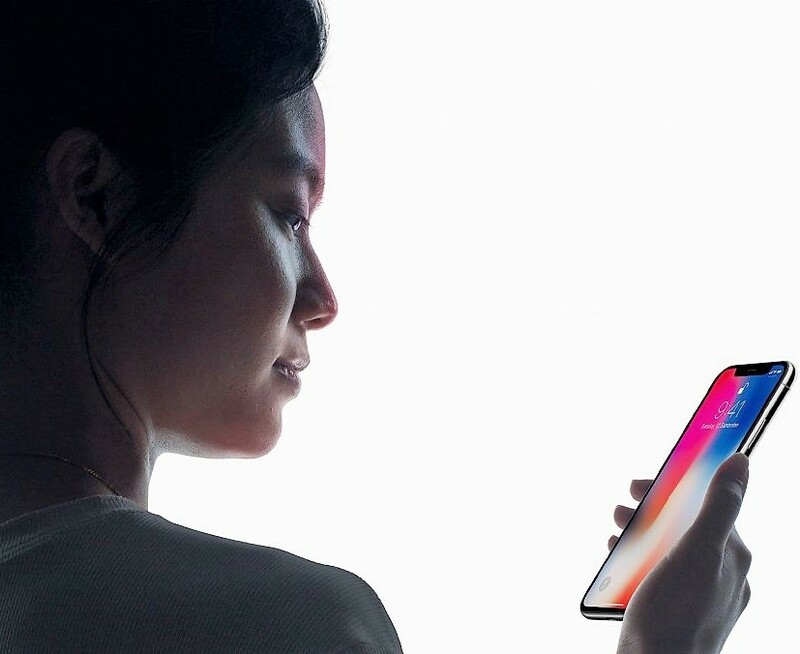 The iPhone X hosts a range of sensors including flood illumination, infrared camera, front camera, and dot projector to allow customers to unlock the iPhone X by just looking at it – a system called Face ID. Apple iPhone X is powered by A11 Bionic chip, mated with 3GB of RAM. The smartphone has a highly recyclable stainless steel frame, glass back and is water and dust resistant. 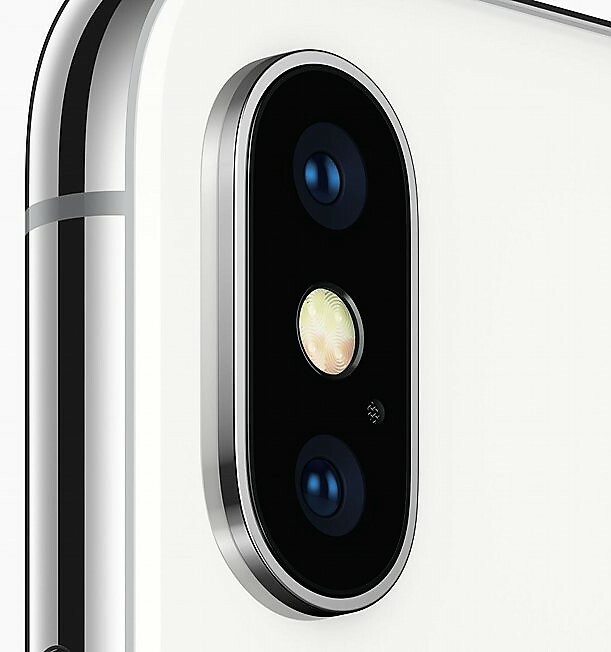 iPhone X has 12-megapixel dual rear cameras with dual optical image stabilization. It is custom tuned for AR. The depth-gauging front camera can be used for another purpose. 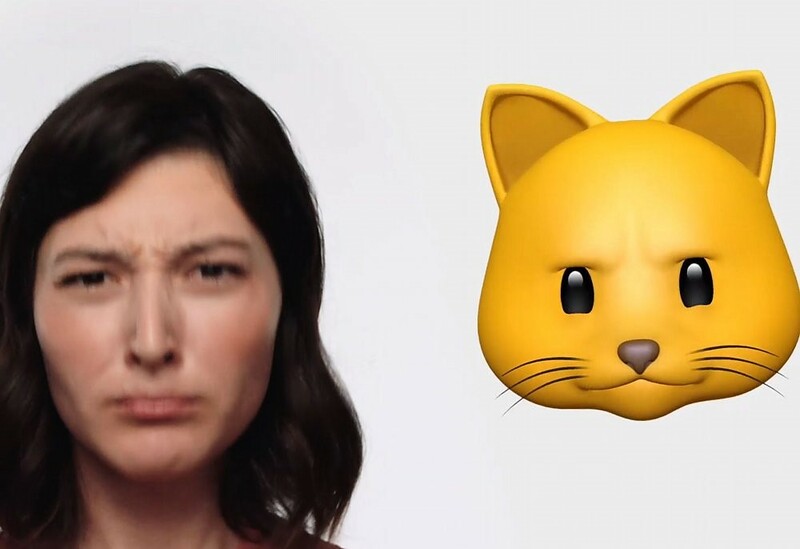 You can create animated emojis – called Animoji – that resemble your facial expressions. Users can make use of this feature in Messages. It has support for Qi wireless charging, fast charging that can charge the phone up to 50% in 30 minutes and promises 2 hours additional battery life compared to iPhone 7. Charge with wireless charging stations and mats in hotels, cafés and airports around the world. 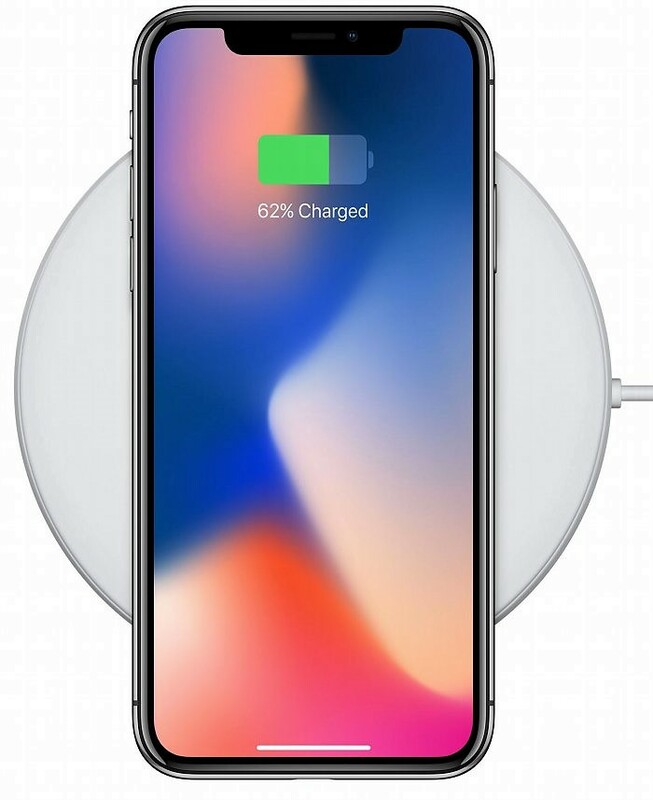 With no charging cable required, iPhone X is truly designed for the future of wireless. Apple Face ID: Your face is now your password. Face ID is a secure new way to unlock and authenticate.